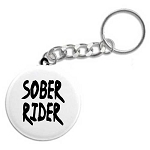 This stunning recovery token is a perfect gift for any sober rider! Created with a new, state-of-the-art coloring technique, this token is a beautiful piece of artwork that you can carry with you everywhere! 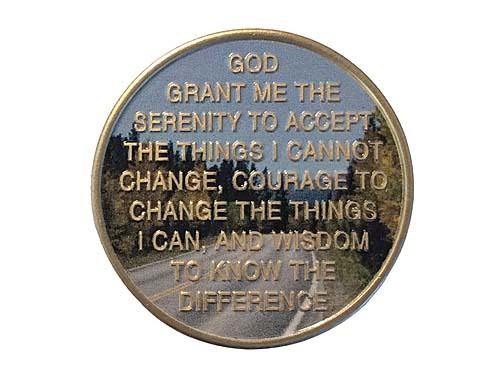 The reverse side features our Serenity Prayer embossed on a beautiful mountain road scene. At WoodenUrecover.com, all specialty medallions are delivered in a velvet gift pouch at no additional cost! 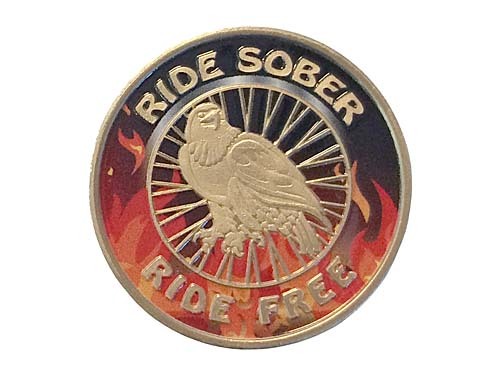 Please consider purchasing one of our Coin Capsules to further protect this beautiful keepsake.